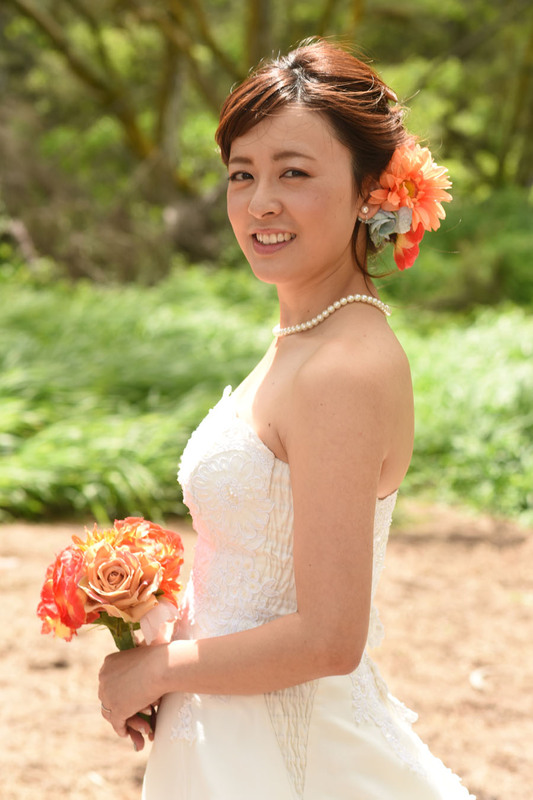 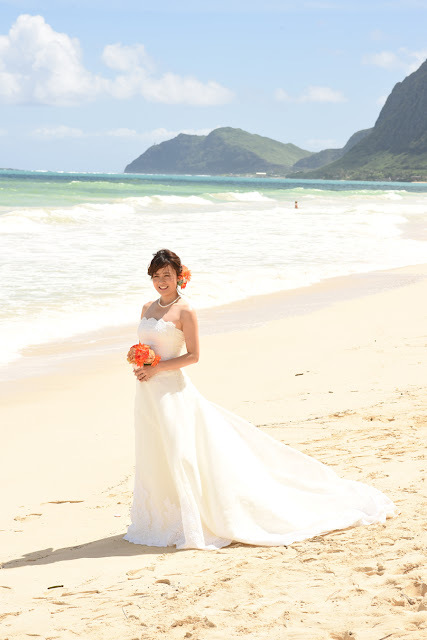 Pretty Japanese Bride Mio at Waimanalo Beach with Photographer Robert Hamilton. 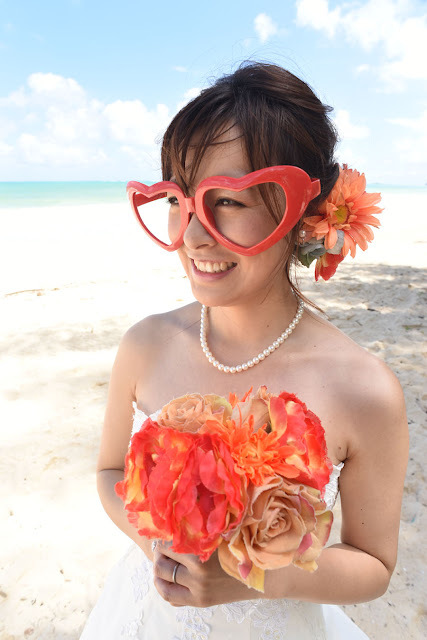 Love this shot with funny shades! This photo joins the list among my favorites.